The Atlantic Hurricane season runs from June 1st - November 30th. 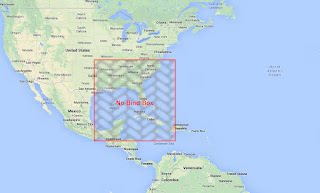 If you are purchasing a home in Florida, you may have heard about 'The No Bind Box', and its ability to delay your closing. 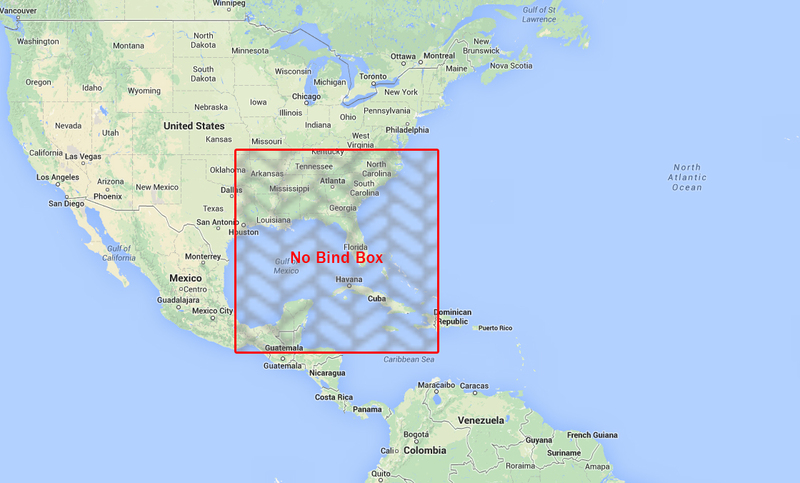 The Box covers approximately 16,000 square miles, and includes Florida, the adjacent states and part of the Atlantic Ocean. When a tropical storm or a hurricane enters The Box, you may have difficulty obtaining Homeowners Insurance until the storm blows over, regardless of the date of your closing. Citizens Property Insurance Corporation, the FL state insurance pool, states in its underwriting rules, "No application for new coverage or endorsement for increased coverage may be bound, written or issued, or monies received, regardless of effective date, when a Tropical Storm or Hurricane Watch or Warning has been issued by the National Weather Service for any part of the State of Florida." Since the year 2000, the average Citizens hurricane binding suspension lasted about 48 hours, with an average of 3-4 suspensions per season. Not all private insurance companies suspend binding when Citizens does. Many companies will close for shorter periods of time, and/or they will only close certain sections of the state. There are so many home insurers in the Florida market today, that finding coverage when there's a storm in 'The Box' is easier than it once was. The 'No Bind Box' is certainly something to be aware of, but unless your insurance needs to be purchased very quickly, it generally will not affect most people's ability to close on time. Please let us know if you have any questions. What are the main causes and effects of Hurricanes?